Midlands communities have been dealt a devastating blow after Bord na Móna announced 430 job losses as it winds down its peat business. But the company said all the redundancies would be voluntary and staff would be offered an exit package. Chief executive Tom Donnellan promised to create up to 500 jobs in new businesses as it transforms to renewable energy – although the timeframe for some of these is up to 10 years. There is no timeframe for the redundancies as this will be negotiated with unions, but it is understood the company wants as many as possible over the next year. The board signed off on the restructuring plan that is part of the company’s decarbonisation strategy yesterday. This policy means it will use more environmentally friendly forms of energy. In a statement, Bord na Móna said it was beginning talks with staff on the possible reduction of between 380 and 430 managerial, administrative and peat operation roles. It said it was accelerating decarbonisation and fast- tracking renewable energy and “higher value” recycling, and would bring forward the end of energy peat. However, it is also developing new businesses “to support the low carbon economy”, and has identified potential to create up to 500 jobs across the midlands “in the medium term”. These will include 100 jobs on windfarms over the next 10 years, up to 50 jobs in waste collection and recycling, as well as opportunities in inland fisheries, growing herbs on the bogs for the pharma and cosmetic industry, and new business parks on the company’s landbanks. Mr Donnellan said decarbonisation was the biggest challenge facing the planet and standing still was not an option. “While decarbonisation means we must introduce a new structure it also means confronting some extremely difficult choices,” he said. “It means that fewer people will be working in peat operations and also managerial and administrative roles across Bord na Móna. He said the company was embarking on a transition phase towards becoming a leading provider of renewable energy in Ireland by 2026. It would become a leader in high-value recycling and a provider of new low-carbon goods and services, he added. The commercial semi-state company plans to close 17 of 62 bogs where peat is harvested. 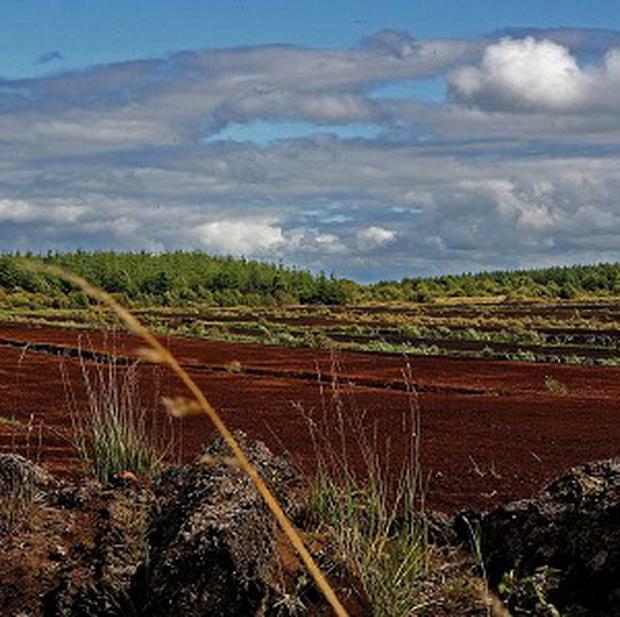 Bord na Móna plans to exit the peat-for-energy business by 2030. This is in part driven by a Government decision to stop subsidising peat as a fuel source for generating electricity, which costs taxpayers €118m a year. In a joint statement, ministers Richard Bruton and Heather Humphreys said it was a difficult day for many Bord na Móna workers and their communities. “However, Bord na Móna is taking the steps it needs to take now, to continue to contribute to providing good and sustainable jobs in the midlands for many years to come,” they said. Fianna Fáil TD Barry Cowen said the Government could not wash its hands of this “devastating blow” and called for a forum of stakeholders to be set up. Following a meeting with management, the group of unions said there would have to be agreement on severance packages and the selection process, as well as a 3pc payment due in March next year. Unite threatened industrial action and warned that the Government was sleepwalking into a crisis that would devastate the midlands.